The letter (see letter) is from a person claiming to be Brian Anthony asking them to text the phone number 650-300-8714 'assignment received' to get started with their fake mystery shop. The next steps involve cashing a fake check (see real examples here) from an actual bank or credit union and then mailing back a portion of the funds to Brian Anthony and/or another person claiming to be David Richardson. They ask that you move quickly, so by the time the bank has put a hold on the funds, the scam has already been completed. 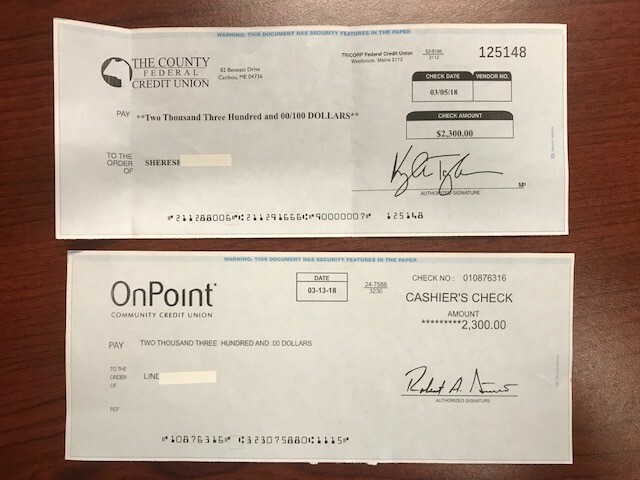 We have received many calls about these letters, unfortunately, many people have been targeted in the scam and some have fallen victim by depositing the fake checks and using the funds. We have met with detectives and filed complaints with the USPS mail fraud department, but this person(s) are very skilled at committing fraud. If you received a package in the mail, the scammers may have gotten your mailing info online from a job site like ziprecruiter or indeed.com. There are a lot of resources detailed out in this press release from ftc.gov. If you have further information you would like to share with Shoppers' View, the ownership team can be reached at info@shoppersview.com. We sincerely apologize for any inconvenience this may have caused anyone.